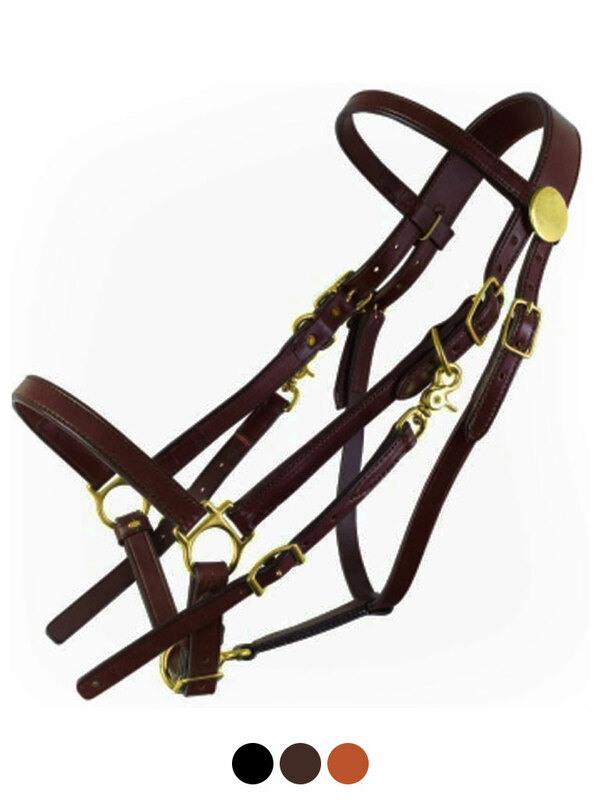 This bridle is designed to be easily converted from bridle to halter. It's as easy as fastening two snaps. Made of finest leather and all brass hardware. 3/4" bridle and 7/8" halter cheeks. Large Horse Size. Crown 21", Cheeks 10 1/2", Noseband 30", Throat 22".